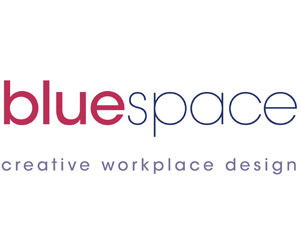 Bluespace have recently completed phase one of a large furniture installation totalling 700+ workstations. 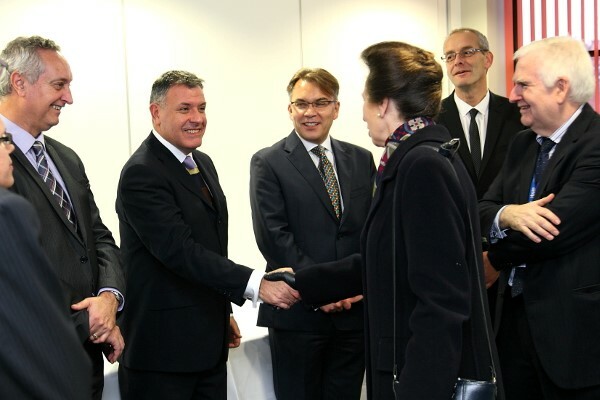 Our Managing Director, Jonathon, and Senior Designer, Steve, were delighted to be presented to HRH Princess Anne at the opening of the new Community Hub shared between Boston Mayflower and Boston Citizens Advice Bureau (CAB), the offices of which were designed Bluespace earlier in 2013. Dreaming of a Blue(space) Christmas! Our design team are busy with CAD layouts and 3D renders for a range of different companies including both new and returning clients, recruitment agency offices and a fun idea for children’s toilets for a local library. After completing the ground floor office last year, MINT decided to relocate their training suite facility from Millennium Plain into the main Forum building. 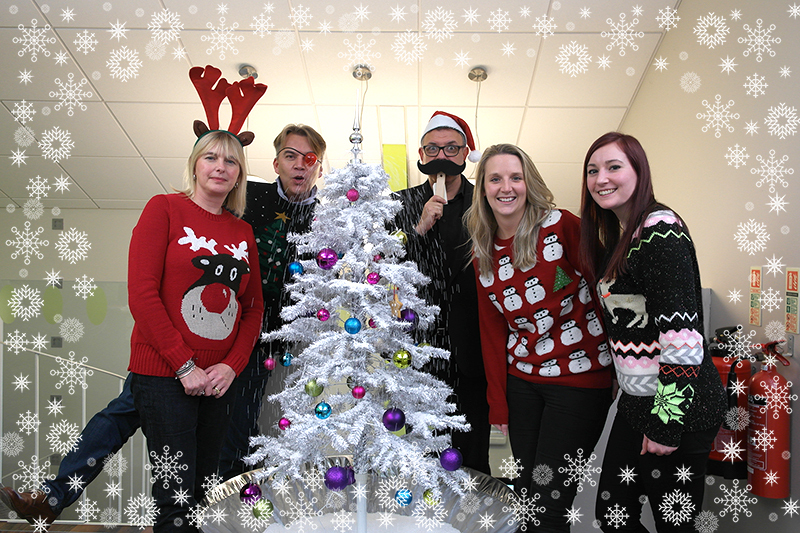 They came to Bluespace to help design, fit-out and furnish their new space. New signage for the bistro! 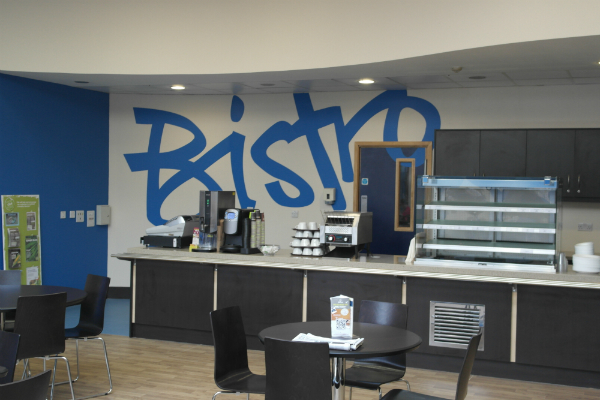 The final touches are added to the bistro at Kettle Foods. 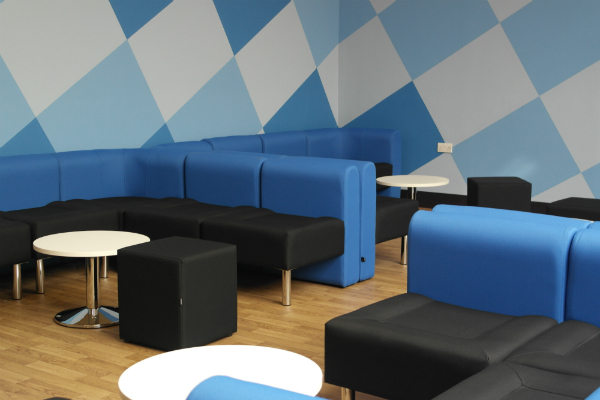 Bluespace has helped Kettle Foods in Bowthorpe with the refurbishment of their staff bistro by supplying new modular soft seating and coffee tables for the area. 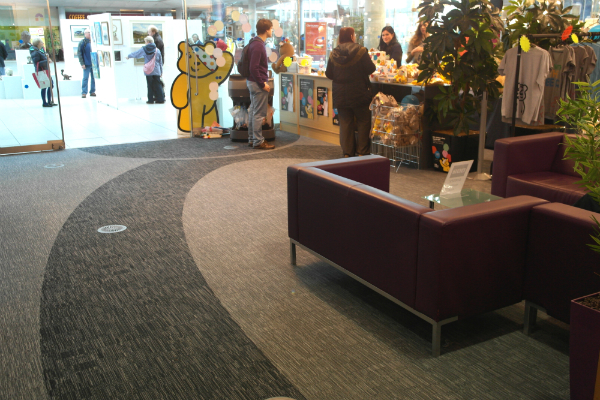 The new furniture adds an inviting modern touch to the busy staff area by adding comfort and style. 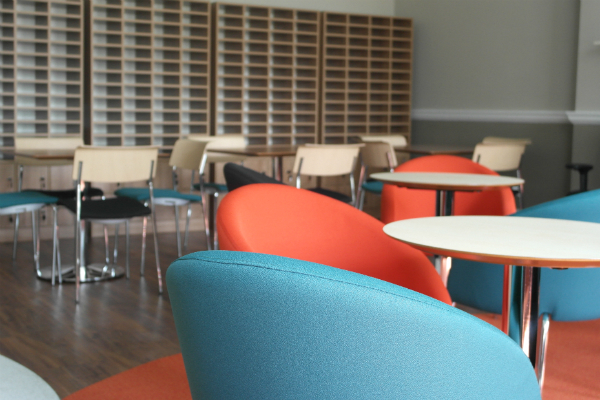 Bluespace have recently undertaken a large furniture installation on behalf of City College into their new building Norfolk House in the city centre. 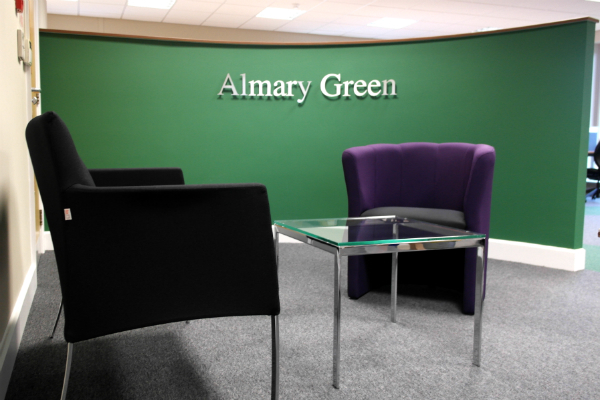 Almary Green give their office a new look! Almary Green Investments in Norwich have just undergone a refurbishment of their offices on Meridian Parkway with the help of Bluespace. The staff room at Notre Dame High School is complete. 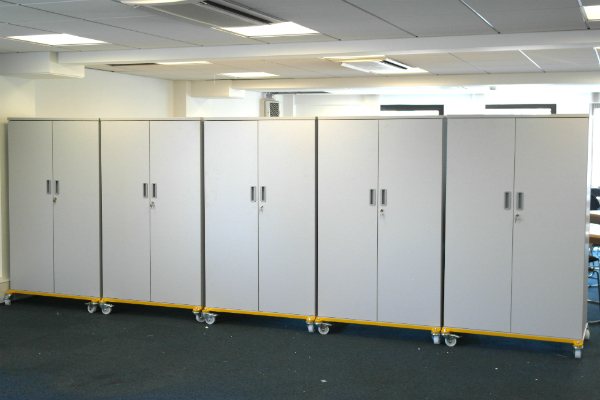 Bluespace have completed the refurbishment of the staff room at Notre Dame High School. A new approach to storage from Herman Miller. 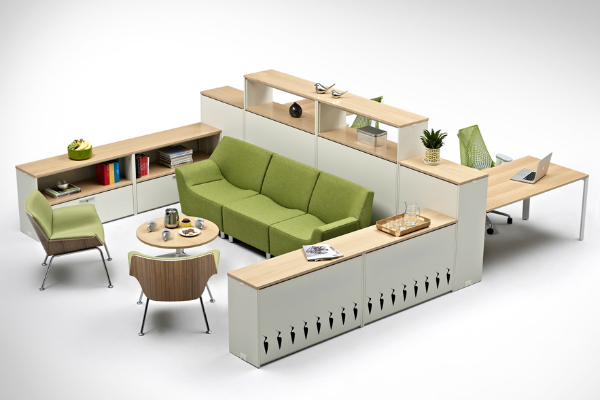 Bluespace are pleased to announce the launch of Stem from Herman Miller; a new concept in storage for the office. Stem places storage at the heart of working environments. It divides, connects, stores and saves, making space work harder. 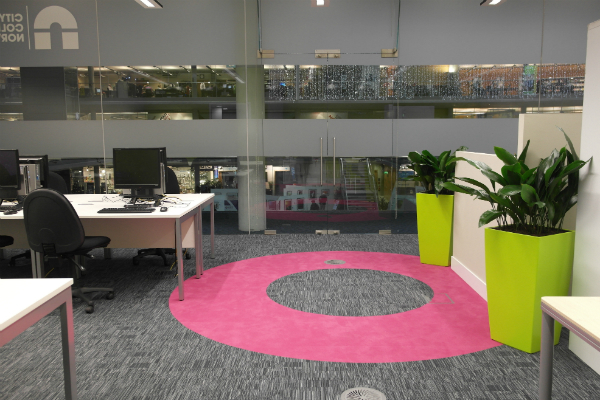 Bluespace transform the flooring in the Fusion area, The Forum Norwich. IP21 adding to their office space! 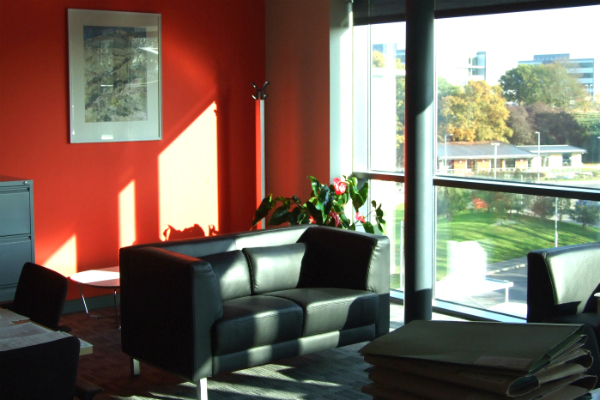 IP21, another of our returning clients, adds another private office into their current space.